The Nigeria Physiotherapy community at home in Nigeria, and the Diapora today mourn the passing of a great leader, a mentor, and a past President of the Nigeria Society of Physiotherapy (2004-2008), Dr. Bridget Nwanne Morenike Birabi (nee Okonkwo). Dr. Birabi was a great leader, a visionary and mentor to many in the physiotherapy profession around the world. Under her leadership, the Nigeria Society of Physiotherapy hosted the 7th World Congress for Physical Therapy, Africa Region, in Abuja, Nigeria, bringing colleagues from the diaspora back home. Born on Thursday, January 15, 1953, Dr. Birabi passed away on Friday, April 29, 2016, after a few years battle with cancer. She will surely be missed, but her legacy lives on. Funeral arrangements will be announced very soon by the Family. Dr Bridget Nwanne Morenike Birabi was born in Ile-ife, Osun State on January 15, 1953 to the Okonkwo family of Asaba, Delta state and Ojitiku family of Ile-ife, Osun state. She began her educational journey at Convent School, Sapele and later attended Marymount Catholic College, Agbor, Delta State for her secondary school education. She later attended the Federal School of Science, Lagos for her Higher School Certificate (A-levels). She qualified as a physiotherapist earning B.Sc. Physiotherapy degree in 1977 from the University of Ibadan. In 1987, she also earned a M.Ed. degree in Exercise physiology from the University of Ibadan, M.Ed. (1987). In 1991, she earned a Post Graduate Certificate in Health Planning and Management at the University of Ilorin in 1991 and further earned a PhD in Exercise Physiology from the University of Ibadan in 2000. Dr Birabi was a seasoned professional, becoming the Head of Department, General Hospital, Port Harcourt in 1983. 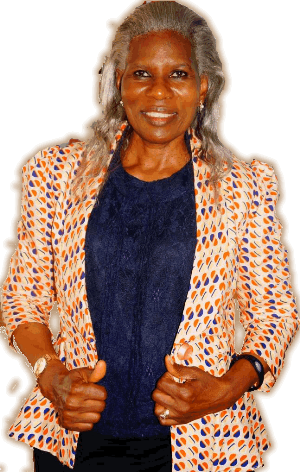 Between 1993-1994, she rose through the ranks severally as Principal physiotherapist, Chief Physiotherapist, and later as the Head of Department of Physiotherapy, at the University of Port-Harcourt Teaching Hospital (1983-94). She voluntarily retired from service in 1994 and has served as consultant and visiting lecturer to numerous physiotherapy facilities and training schools in Nigeria, including University of Maiduguri and University of Nigeria. She was Visiting lecturer, Department of Medical Rehabilitation, University of Maiduguri (2006-2007); Visiting lecturer, Department of Medical Rehabilitation, University of Nigeria (2007-2008); Visiting resource personnel, Department of Physiotherapy, University of Port-Harcourt Teaching Hospital (2009 till her passing). She established a private physiotherapy practice EZELTHERAPY in Port Harcourt, serving as Physiotherapy Consultant and Director. She was also a consultant physiotherapist, GTMH Off-Shore Clinic, Belema Hilton; Consultant Physiotherapist, Shell Petroleum Development Company from 2004 until recently, before her passing. Dr. Birabi had a life-long dedication to service, as evidenced by her service to the profession of physiotherapy and humanity. For instance, she had served on the board of several government parastatals including the Rivers State Hospital Management Board (1995-1996); University of Nigeria Teaching Hospital Enugu Management Board (1993-1994); Medical Rehabilitation Therapist Board of Nigeria (2004-2008). 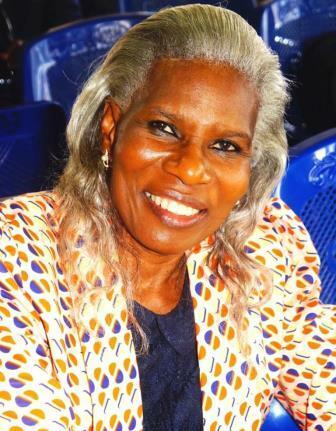 Dr. Bridget Birabi was one of the only two female Presidents (or Chairmen) of the Nigeria Society of Physiotherapy (NSP), serving from 2004-2008. Under her leadership, the NSP executed numerous landmark projects, including the successful hosting of the 7th WCPT Africa Region Conference in Abuja, Nigeria. Her leadership also brought great visibility to the physiotherapy profession in Nigeria. She was a member of an array of professional organizations including the British Health Professions Council, Internationals Council for Health Education, Recreation, Sport and Dance, USA. She is an educator, a researcher and a published author in national and international peer-reviewed academic journals. In recognition of her service to the profession and humanity, in 2001, the Nigeria Society of Physiotherapy awarded her the highest and most prestigious honour and award of the Society; Fellow of the Nigeria Society of Physiotherapy (FNSP). She has also received other numerous awards for meritorious service and excellence. Dr. Bridget Birabi was multilingual, and fluently spoke Ibo, Yoruba and English. Most importantly, she was a devout Christian, a loving wife to her husband, Senator (Dr.) Bennet Birabi and a devoted mother to her three sons Naaku, Diemiri and Meesuan. Today, we join colleagues from around the world to celebrate the life of Dr. Bridget Nwanne Morenike Birabi. We pray that God will grant her family, friends, and professional colleagues, the strength and fortitude to bear this great loss.